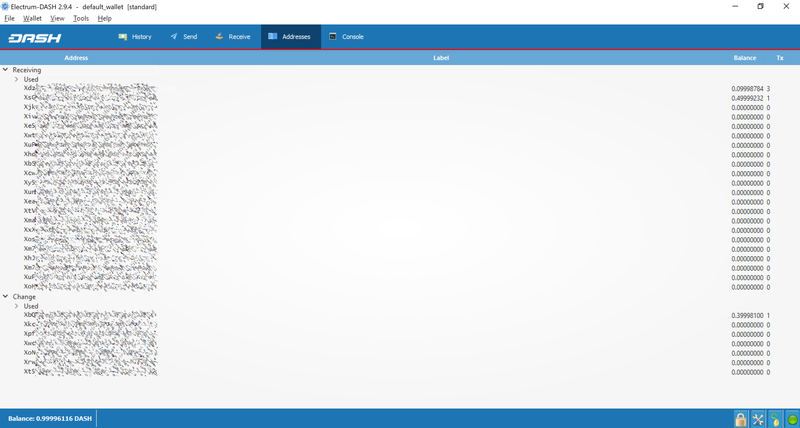 Axe Electrum focuses on speed, low resource usage and providing a simple user experience for Axe. Startup times are instant because it operates in conjunction with high-performance servers that handle the most complicated parts of the Axe system. Not really; the Axe Electrum client never sends private keys to the servers. In addition, it verifies the information reported by servers using a technique called Simple Payment Verification. Your wallet can be entirely recovered from its seed. To do this, select the I already have a seed option during startup. The seed created by Axe Electrum has 128 bits of entropy. This means that it provides the same level of security as a Axe private key (of length 256 bits). Indeed, an elliptic curve key of length n provides n/2 bits of security. The Axe Electrum wallet design and workflow are based on a concept called a “wallet generation seed”. This seed is a unique, randomly- selected list of twelve words. A Axe Electrum wallet uses its seed as a template for generating addresses. To understand the problem that seeds solve, browse to the Electrum Receive tab. Next, open the collapsible entry marked Change. 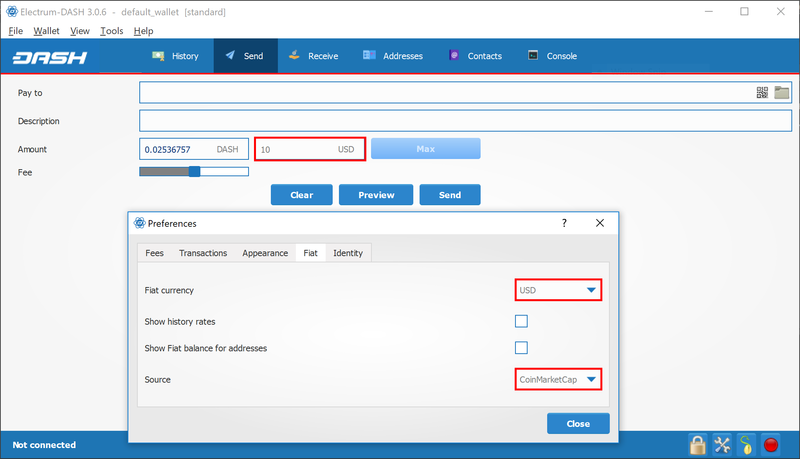 Notice that the total balance does not only show the sum of all receiving addresses, but also the separately listed Change addresses. Where did these new change addresses come from and why does the first one now hold funds? Axe is an electronic cash system, meaning that it shares much in common with the process of using paper banknotes. Although some cash payments involve exact change, many do not. You tend to “overpay” when using cash, and expect to receive the difference as change. Perhaps surprisingly, this is how Axe transactions work as well. If the entire balance of an address is not required for any given transaction, the remainder is sent to a new and unused address under control of the same wallet. This address is generated deterministically (rather than randomly) from the wallet seed, which means that any other wallet will also regenerate the change addresses in the same order from the same recovery seed, and have access to the balances. Spending the entire balance and sending any remainder to a change address is considered good practice because it prevents the transaction recipient from linking transactions by browsing the blockchain, thus compromising your privacy. If privacy is not a concern, change addresses can be disabled via the Tools > Electrum preferences menu option. Type an exclamation mark (!) in the Amount field or simply click the Max button. The fee will be automatically adjusted for that amount. Note that transactions without fees might not be relayed by the Axe Electrum server, or by the Axe network. Yes, go to Tools > Prefernce > Fiat and select a Fiat currency to display the current exchange rate from the chosen Source. When you freeze an address, the funds in that address will not be used for sending Axe. You cannot send Axe if you don’t have enough funds in your non-frozen addresses. In addition, your wallet file may be encrypted on disk. Note that the wallet information will remain unencrypted in the memory of your computer for the duration of your session. If a wallet is encrypted, then its password will be required in order to open it. Note that the password will not be kept in memory; Axe Electrum does not need it in order to save the wallet on disk, because it uses asymmetric encryption (ECIES). Wallet file encryption is activated by default since version 2.8. It is intended to protect your privacy, but also to prevent you from requesting Axe on a wallet that you do not control. It is not possible to recover your password. However, you can restore your wallet from its seed phrase and choose a new password. If you lose both your password and your seed, there is no way to recover your money. This is why we ask you to save your seed phrase on paper. To restore your wallet from its seed phrase, create a new wallet, select the type, choose I already have a seed and proceed to input your seed phrase. Yes. See the cold storage section. In Axe Electrum 2.0, you cannot import private keys in a wallet that has a seed. You should sweep them instead. If you want to import private keys and not sweep them you need to create a special wallet that does not have a seed. 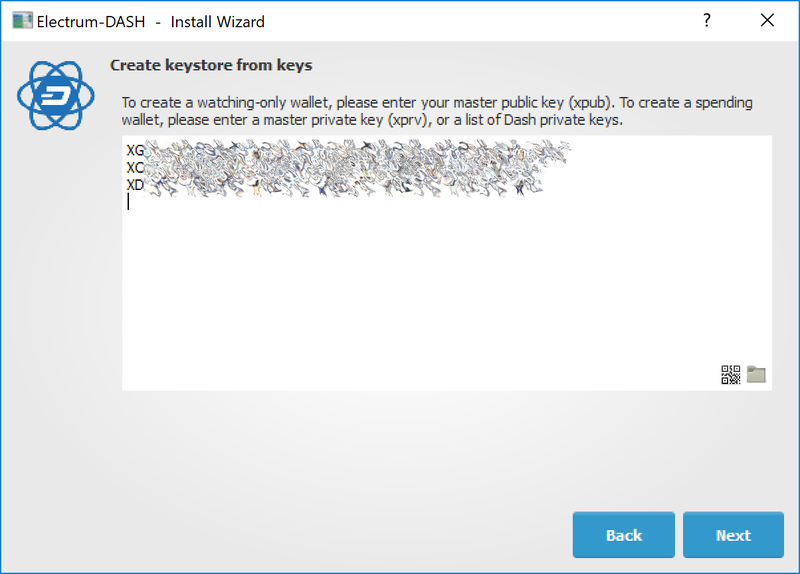 For this, create a new wallet, select Use public or private keys, and instead of typing your seed, type a list of private keys, or a list of addresses if you want to create a watching-only wallet. A master public (xpub) or private (xprv) will also work to import a hierarchical deterministic series of keys. You will need to back up this wallet, because it cannot be recovered from seed. Sweeping private keys means to send all the Axe they control to an existing address in your wallet. The private keys you sweep do not become a part of your wallet. Instead, all the Axe they control are sent to an address that has been deterministically generated from your wallet seed. To sweep private keys go to Wallet > Private Keys > Sweep. Enter the private keys in the appropriate field. Leave the Address field unchanged. This is the destination address from your existing Axe Electrum wallet. Click on Sweep. Axe Electrum then takes you to the Send tab where you can set an appropriate fee and then click on Send to send the coins to your wallet. The default wallet file is called default_wallet and is created when you first run the application. It is located under the /wallets folder. You can create a transaction with several outputs. In the GUI, type each address and amount on a line, separated by a comma. Amounts are in the current unit set in the client. The total is shown in the GUI. You can also import a CSV file in the Pay to field by clicking on the folder icon. 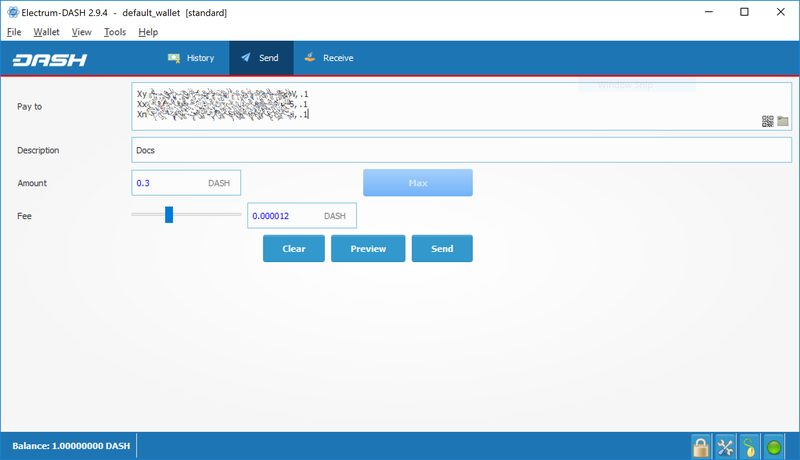 Axe Electrum lets you create and sign raw transactions right from the user interface using a form. This might happen if you are trying to spend a large number of transactions outputs (for example, if you have collected hundreds of donations from a Axe faucet). When you send Axe, Axe Electrum looks for unspent coins that are in your wallet in order to create the new transaction. Unspent coins can have different values, much like physical coins and bills. If this happens, you should consolidate your transaction inputs by sending smaller amounts of Axe to one of your wallet addresses; this would be the equivalent of exchanging a stack of nickels for a dollar bill. The gap limit is the maximum number of consecutive unused addresses in your deterministic sequence of addresses. Axe Electrum uses it in order to stop looking for addresses. In Axe Electrum 2.0, it is set to 20 by default, so the client will get all addresses until 20 unused addresses are found. Axe Electrum will generate new addresses as you use them, until it hits the gap limit. If you need to pre-generate more addresses, you can do so by typing wallet.create_new_address() in the console. This command will generate one new address. Note that the address will be shown with a red background in the address tab, to indicate that it is beyond the gap limit. The red color will remain until the gap is filled. WARNING: Addresses beyond the gap limit will not automatically be recovered from seed. To recover them will require either increasing the client’s gap limit or generating new addresses until the used addresses are found. Warning: always save your wallet seed on paper before doing an upgrade. To upgrade Axe Electrum, just install the most recent version. The way to do this will depend on your OS. Note that your wallet files are stored separately from the software, so you can safely remove the old version of the software if your OS does not do it for you. Some Axe Electrum upgrades will modify the format of your wallet files. For this reason, it is not recommended to downgrade Axe Electrum to an older version once you have opened your wallet file with the new version. The older version will not always be able to read the new wallet file. Axe Electrum 2.x will need to regenerate all of your addresses during the upgrade process. Please allow it time to complete, and expect it to take a little longer than usual for Axe Electrum to be ready. The contents of your wallet file will be replaced with a Axe Electrum 2 wallet. This means Axe Electrum 1.x will no longer be able to use your wallet once the upgrade is complete. The Addresses tab will not show any addresses the first time you launch Axe Electrum 2. This is expected behaviour. Restart Axe Electrum 2 after the upgrade is complete and your addresses will be available. Offline copies of Axe Electrum will not show the addresses at all because it cannot synchronize with the network. You can force an offline generation of a few addresses by typing the following into the Console: wallet.synchronize() . When it’s complete, restart Axe Electrum and your addresses will once again be available.